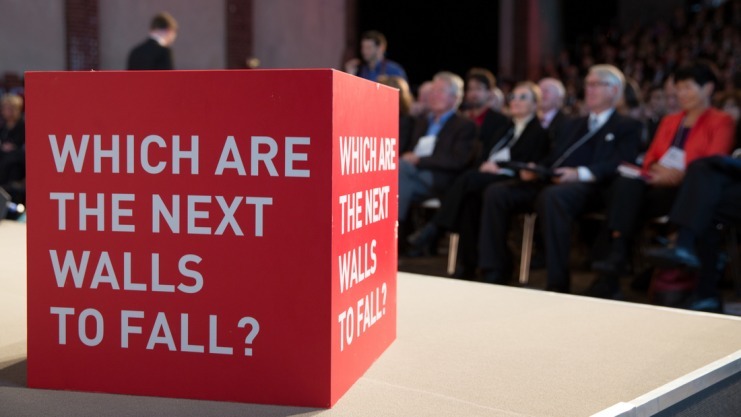 Falling Walls is an international competitive event for researchers and innovators from all walks of life. It is inspired by the 1989 fall of the Berlin Wall, and it asks the question: which walls will fall next? Entrants give a 3-minute talk describing how their idea, innovation, or research project might break down walls. A lot of academic researchers enter the competition, but there are also competitors from industry and the non-profit sector. All disciplines are welcome: from engineering, social sciences, natural sciences and economics to the liberal arts or any other discipline. Two years ago, AUT’s very own PhD student Stephanie-Anne Croft was one of only 5 New Zealanders to earn a place in the Australian finals of the Falling Walls competition. She went on to place 3rd for all of Australasia. Thesislink interviewed her about her experiences – you can read her tips for Falling Walls success here. This year, the winner of the Falling Walls New Zealand competition will win a trip to Berlin to compete in the international finals, plus a ticket to the Falling Walls conference on the anniversary of the fall of the Berlin Wall. If you are interested in entering this year’s competition, you can find more information at the Royal Society’s website. Applications must be submitted by 5pm on Friday 22 June 2018. Should You Hire a Proofreader? I don’t know whether I can take the next step, but I will have a look at the 5th floor WU building to show an interest.